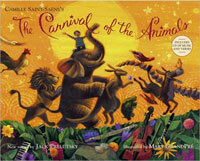 This is a great song to teach SLS and quarter note/rest and eighth note pairs. Here’s my process. After learning the song by echo singing with a pat/clap steady beat pattern, I told the Ss the history of the song from the info I found HERE. That info led me to have the students get in groups of 3 with two horses and a driver. I cut lengths of rope for the reins that went around the torso area of the two horses in front, with the driver holding the ends behind. We trotted around the room after singing the song, with the idea that the horses had done their work for the day and were heading home. We switched until everyone had been the driver. Lots of giggles and fun! The next music class we sang and clapped the rhythm, then partners got bells or other non-pitched metal percussion and played the rhythm as they sang. 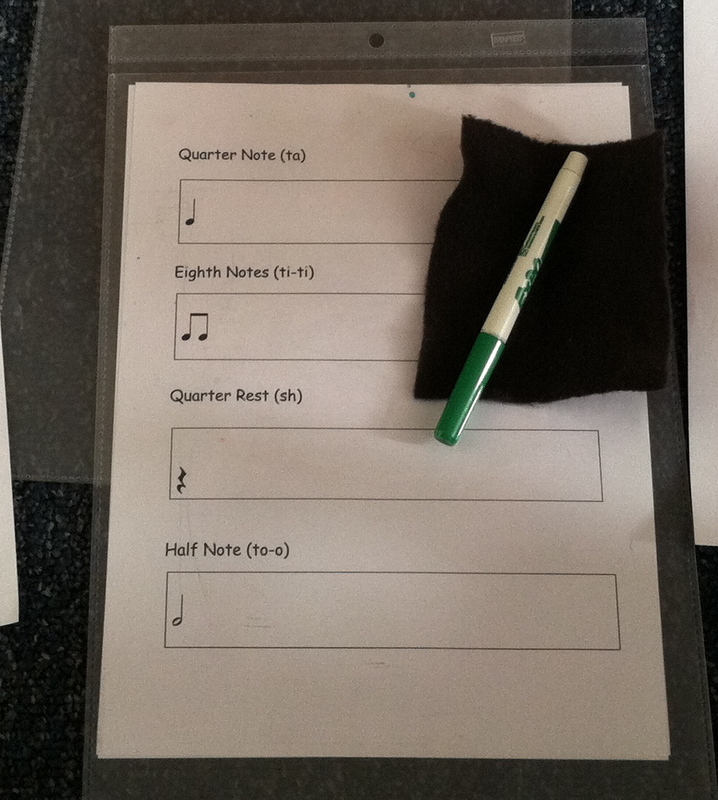 The third music class, as a group, we sat at my large rhythm chart, and together determined the rhythm of the song. How I made my chart is located HERE! 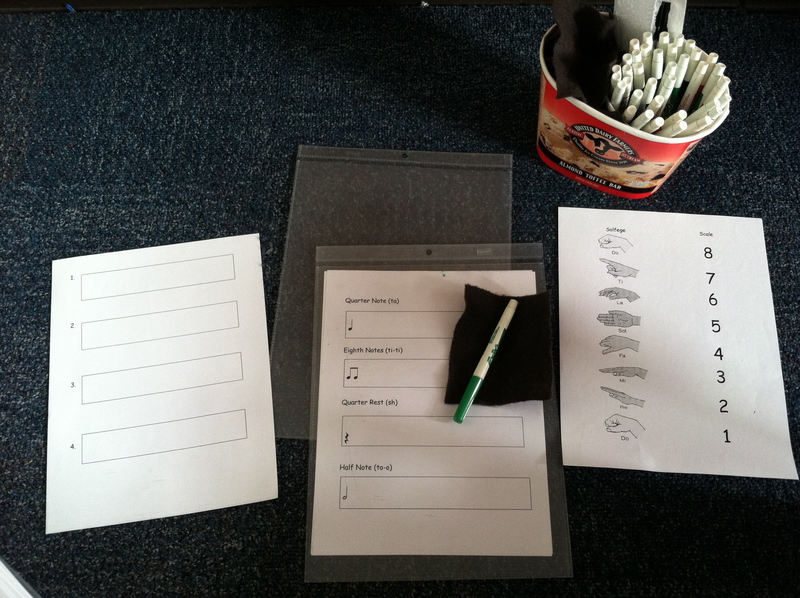 The fourth music class, partners got a 16 beat template, an envelope with the necessary rhythmic icons, and then wrote the rhythm. After a few minutes of them working on it, I clapped the first line, let them look at what they had, then I put it on my large chart for them to check and see if they were correct. I continued this method until all 4 lines were complete. Then one partner touched the answers as the other partner clapped and sang the song. They switched roles. Here’s the version of Bell Horses that I use! I needed a big chart for K-2 so that we could write song/rhyme rhythms. I wanted something cheap! 🙂 I bought a black foam board (20×30″) at Dollar Tree, then added strips of thick paper such as card stock to form the pockets. The actual rhythms are written on blank 4×6 note cards. I laminated them but that isn’t completely necessary. A foam board is about 20″ wide. The pocket strips were cut to 20″ wide and about 2″ in height, and then I glued the strips on the left,right, and bottom edge, and then a vertical line about every 4.25″, enough room to slide a 4″ note card into. The glued bottom edge serves as a stop for the note card. The red lines on the photo to the right show where I used glue. This picture shows rhythmic icons, which required that I copied images onto the note cards. This is what I use for the song “Bell Horses”. How do YOU teach this piece? PLEASE share in the COMMENT section! What a great way to highlight movement for this great piece with these masks! I’ll be adding specific forms for Elephants, Aquarium, and Hens/Roosters. 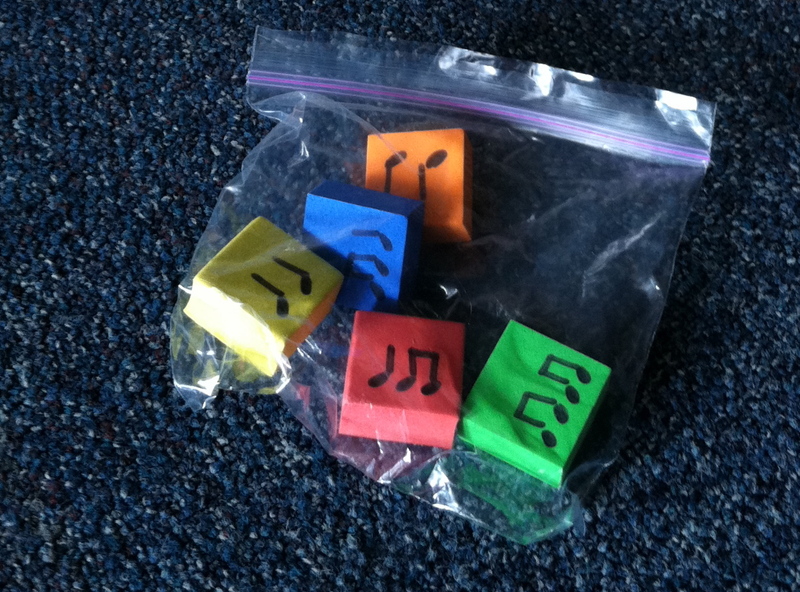 From my Orff classes and “Elementaria” by Keetman, I created what are called RHYTHMIC BUILDING BRICKS out of these foam cubes I found at Target in the $1 section. I used a Sharpie to draw on the notes. Both sides have a rhythm so many combinations can be created. The bags are ideal for partners so in the tub at left, I have enough for a class of 34. The blocks in the below picture are available for sale from Etsy!!! 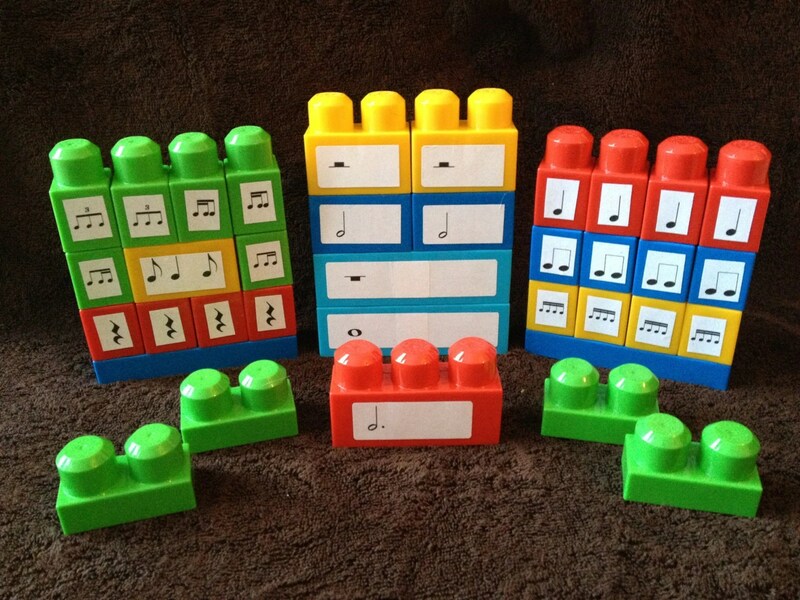 I plan for about 5% of my yearly curriculum to involve writing music in some form. I insert a template into the plastic pocket,then students use dry-erase markers to fill in the template. We practice “drawing” notes, taking rhythmic dictation, singing scales, etc. The possibilities are endless. Templates are generic so that I can use the same one for simple or compound meters. Using the pictured “job tickets” has been highly effective because it involves no paper copies for every class. The materials are all reusable once you have everything set up. I do a quick visual assessment, then tell the students to erase their work and the insert is ready for the next class. 1. Job Tickets are thick plastic pockets used to post information on job sites. You can find the educational equivalent on education supply web sites, but I found the job tickets were cheaper. Here’s an example. 2. In the picture, there’s a bucket holding the dry-erase markers and erasers. I just cut up little squares of felt for the erasers. 3. Because the pockets are plastic on both sides, I load both sides so that we can do one activity on one side, and a different one on the other. 4. Examples of rhythmic dictation. Hot Cross Buns is an easy example. Let’s say that the past two weeks we have been singing the song, playing the song, determining as a class the rhythm of the song. On a subsequent day, we get out our plastic inserts and practice writing quarters, eighths, quarter rests, and half notes. (middle template in picture) Then we turn it over and I clap measure one of the song. Students write it in box 1. (left template in picture) Continue on with measure 2-4. I walk around a visually assess then we determine the answers. Using our answers (some have needed to make some corrections) we go back and speak it with our rhythms, clap it, speak it with words. 5. More times than I can count, students say how much fun they are having doing this activity. This is one of my greatest creations because it’s cheap and easy to make, easy to use, and the students love it and learn so much! It’s made out of two poster boards, 4 x 6 index cards, 3 x 5 index cards, glue, and post it notes. 1. Tape two poster boards together. 2. Lay out the 4 x 6 cards horizontally until you have the number of categories and amounts you’d like. I did 6 categories and up to $500. 3. Put your dollar amounts on each card then put a bead of glue along the back left and right sides of each card. The sides of the cards then will be glued, but the top and the bottom edges are open. You can glue the bottom edge, it doesn’t really matter. 4. Then all you do is take the 3×5 cards and write the question/answers to your categories. The are just inserted in the 4 x 6 pockets and pulled out when playing the game. Use the cards to keep score. Make a pile of correct cards for one team, another pile for the other team. 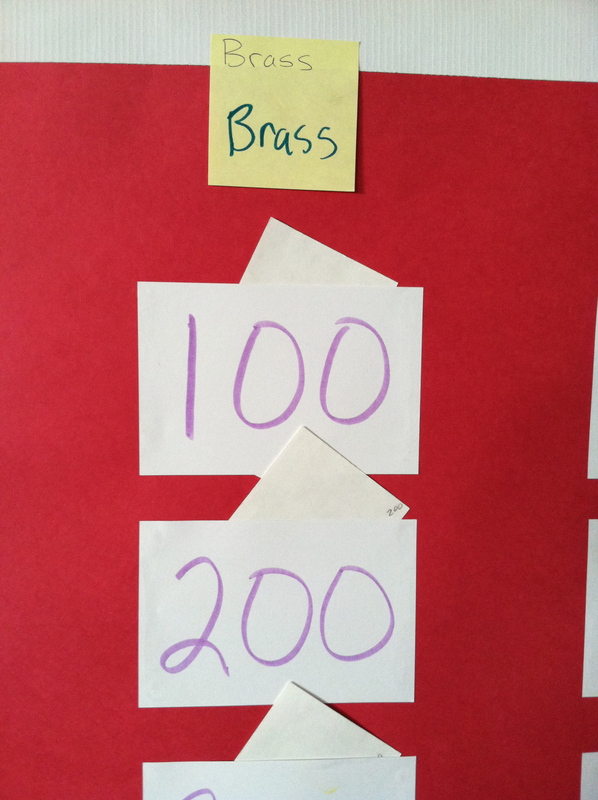 Don’t forget to put the category and amount on each card so you can easily return them to their correct spot when the next class comes in and you want to play again. 5. I use Post-It notes to mark the categories. 6. 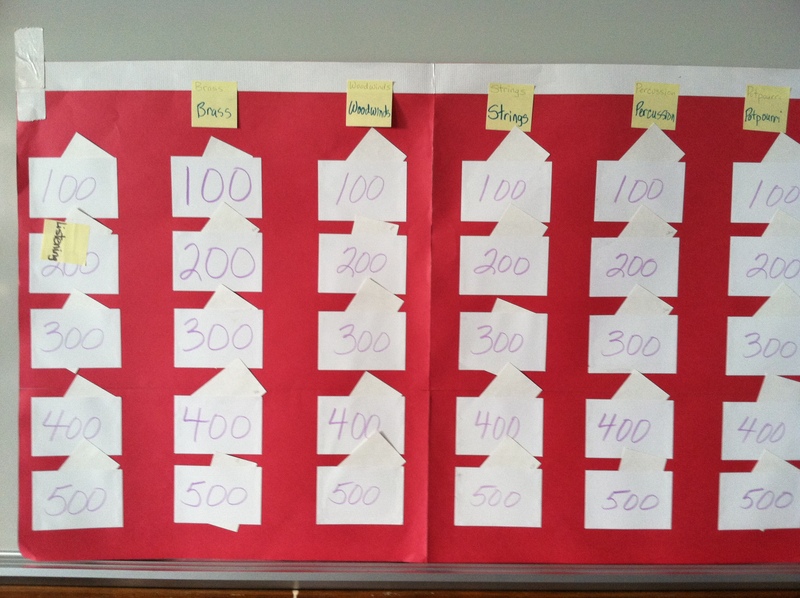 Lots of people have smartboards and PPT Jeopardy games, but this can be created by simply writing on 3×5 cards. When you are done, you just store the 3×5 cards and Post-Its and the game folds along the tape lines for easy storage. During remodeling one year, I was a teacher on a cart and easily took this to the classrooms. 9. I usually play boys vs. girls and have the two teams choose a captain. ONLY THAT CAPTAIN communicates with me to give me their choice of question and the answer. Once they give me their answer, I say “Is this your final answer?”. By designating a captain, I don’t have a bunch of shouting out. The teams almost always have a discussion about the correct answer with the captain making the final decision based on the discussion. This is so cool! If a team does not get the correct answer, it can pass to the other team. After taking a Feierabend workshop, I added so many new elements to vocal exploration. Some come directly from the workshop while others are from blogs and my own use of resources available to me. 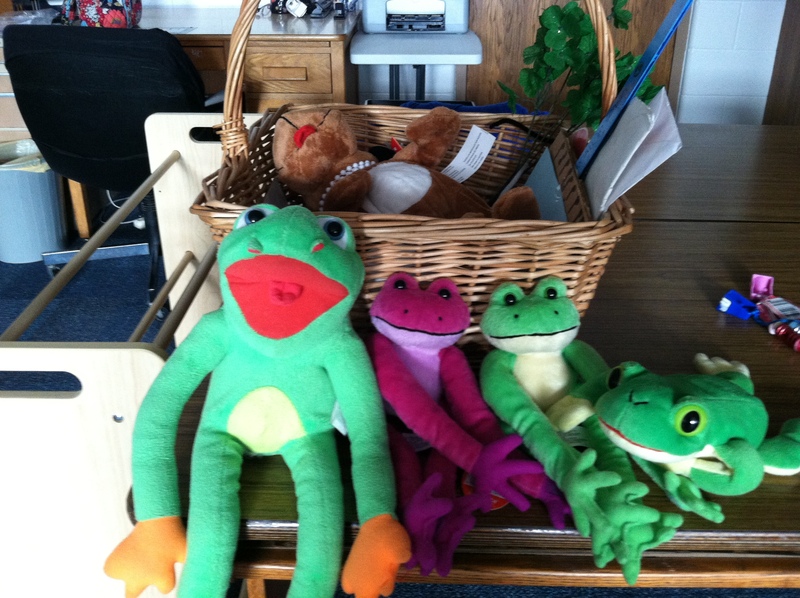 I call this the Frog Family and there’s Freddy (dad), twin cousins Huey and Louie, and Baby Frog. The big frog has long arms so I use him lots for beat bonding activities. I have a small parachute and we raise and lower it, making appropriate sounds with our voices. I throw daddy frog in the middle and the upward vocal slides increase because the frog gets tossed in the air on the ups. Then baby joins daddy and then finally the cousins get in. By the time we’re finished, it’s only been a couple of minutes but we’ve done vocal glissandos MANY times. I got almost all of these things at Dollar Tree. 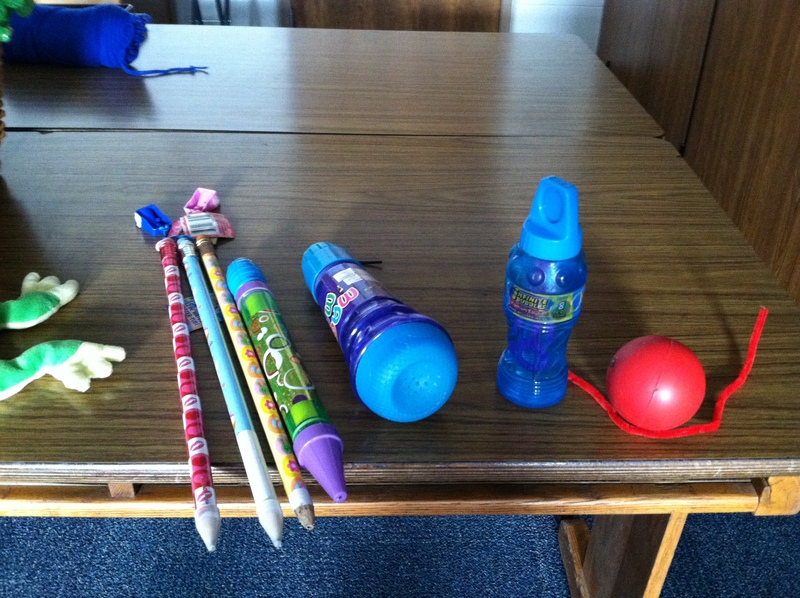 From left to right, the three pencils and purple crayon are used to draw letters and shapes in the air with accompanying upward, downward, and same vocal sounds. I draw and sing, class echoes. I have three so I can use them at a learning station. The microphone is another fun echo sing ploy; teacher holds mic and sings then points it to the class or to an individual. Fun! A ball or anything that can be tossed in the air can provide an opportunity for upward/downward glissandos. The pipe cleaner can be easily shaped and then as you follow the shape with your finger you make the appropriate sounds. Since pipe cleaners are cheap, this is always one of my make and take activities. I ask that the students take it home and make shapes and sing for at least 5 people. 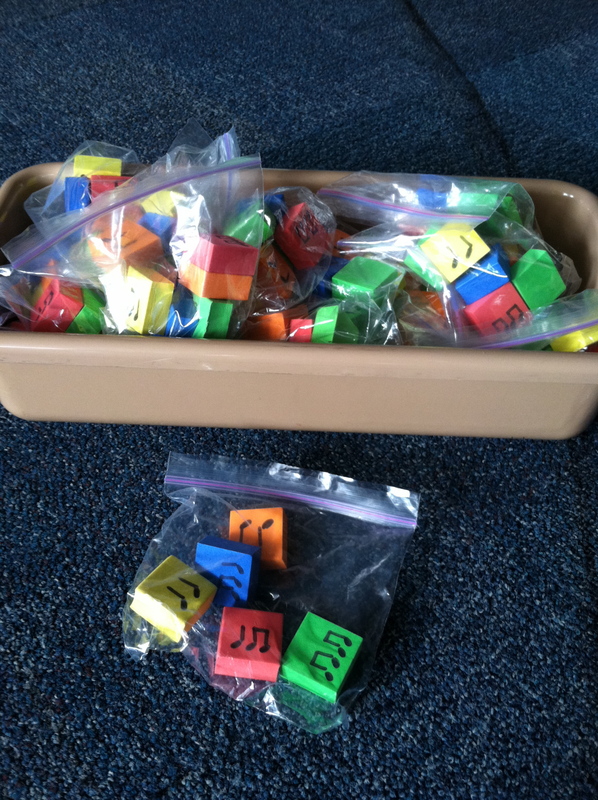 These are also great for learning stations. Here’s a video showing how I use a puppet spider and how to make your own spiders for a make and take activity!